The combination of immersion in international law, experiential learning, and academic courses taught by professors from Brandeis University and the nearby Grotius Centre, promises you a world-class experience full of professional opportunities, personal growth, and European memories. The Hague is an historic and world-class international center for justice and human rights. Building on Brandeis’ strong relationships in the city and with international law networks, you will gain a global perspective while interacting with criminal tribunals in The Hague and working on projects that address major global issues. While in this program you will study in the historic Dutch city that has become a modern symbol in the search for global justice. You will explore first-hand how international courts confront a range of global problems; meeting with judges, advocates, and academic specialists for a broad survey of the international legal process. You will live in The Hague and will have direct access to major tribunals; including the International Court of Justice, the International Criminal Court, the Peace Palace, and special war-crimes tribunals. You will also connect with research centers working on a variety of global issues; including ethnic violence, national and regional reconciliation, economic development, environmental policy, social rights, and responsive governance. Culturally, the Netherlands attracts students from around the world who come to explore its beautiful cobblestone streets, canals, windmills, shops and restaurants, and vibrant student culture. 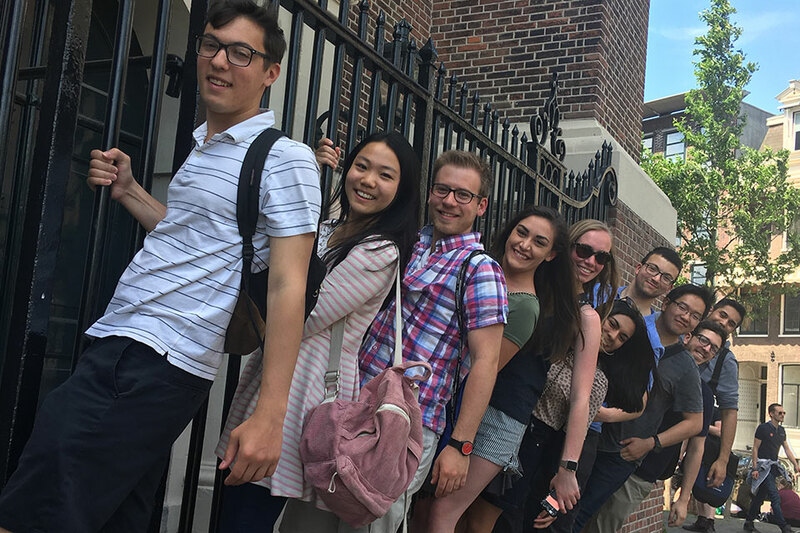 The curriculum for the Brandeis Summer Program combines coursework, field visits to international courts, and interactive workshops with court advocates and international lawyers. Seminars lay the groundwork for understanding the origins and purposes of the tribunals, while workshops provide an intensive experience with the International Criminal Court. The Hague Summer Program is a collaboration between Brandeis University and the Grotius Centre for International Legal Studies at Leiden University.